Imagine we have a time machine. We go back, and stop the invention of gunpowder. 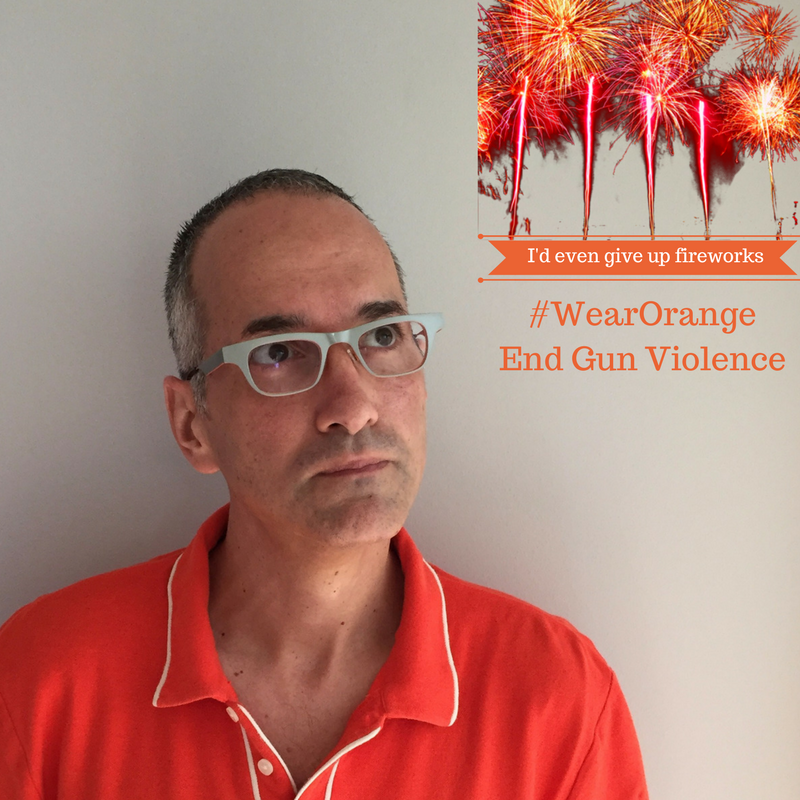 Sure, we'd lose out on fireworks, but we'd also avoid the current insanity of gun violence. Why haven't things already changed? Politicians won't be motivated to change things unless we the people demand change. So join me, and Every Town For Gun Safety and all their affiliated groups and demand things change! And wear orange today, June 2, 2017 to help spread the word.